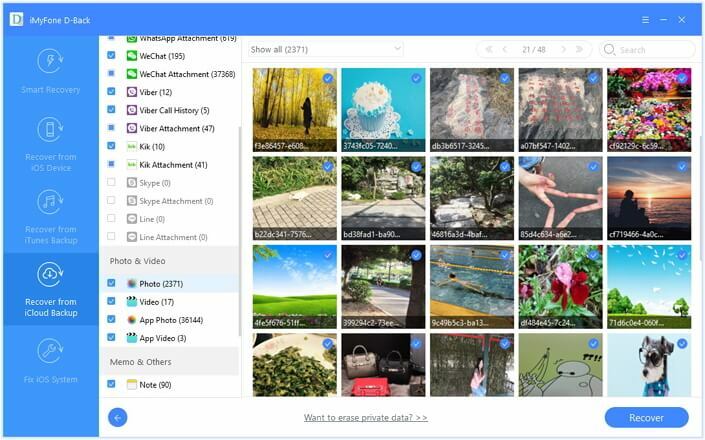 You can recover from over 22 file formats such as contacts, photos, videos, Skype/Kik/Wechat/Whatsapp messages and more. 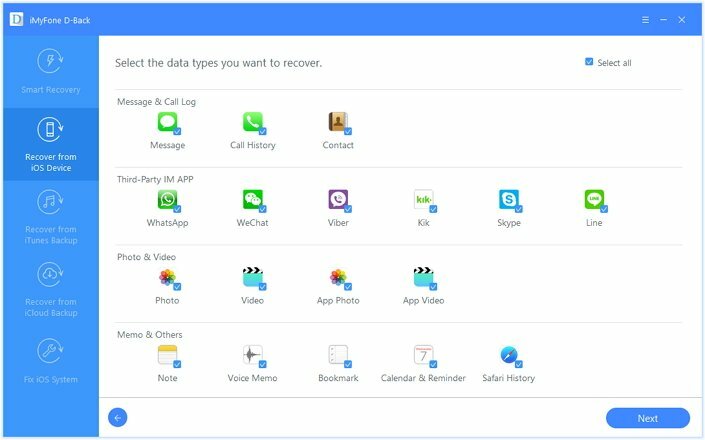 iMyfone D-Back iPad data recovery or iPad data recovery for Mac recovers the lost or deleted messages on iPad in three different approaches. 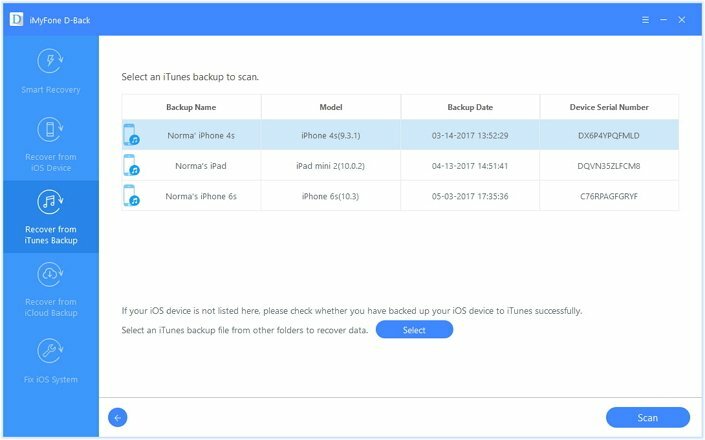 You can recover directly from the device, retrieve from an iCloud Backup file, or retrieve from an iTunes Backup file. Step 1: Finish the installation after downloading from official website. Launch it and from the main screen, select “Recover from iOS device” option, and click the “Start” button. Step 2: Select “Message” as the recovery file format, and click “Next” button. Step 3: Once the program detects the device, press the “Scan” button. Step 4: After scanning is complete, you can preview the recoverable “Message” files. You can then hand-pick the files that you want to retrieve, and click the “Recover” button. Step 5: A pop-up dialogue box opens requesting you to choose location for saving the recoverable files. 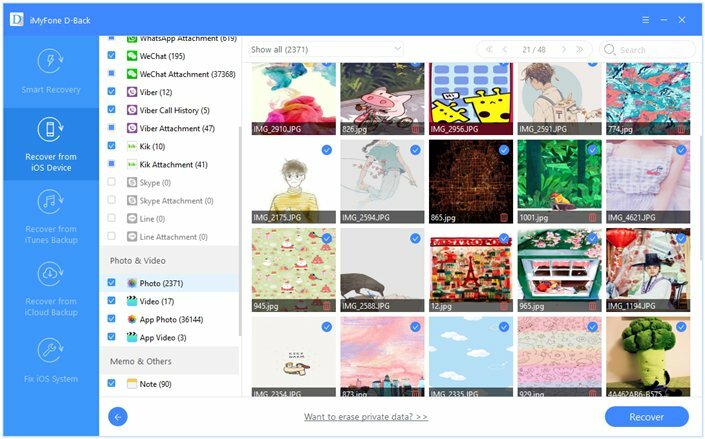 Once you choose the folder, allow the application to complete the recovery process. Browse the folder for the recovered “Message” files. Step 1: From the main screen of the software package, select “Recover from iCloud Backup” choice, and select the file type. 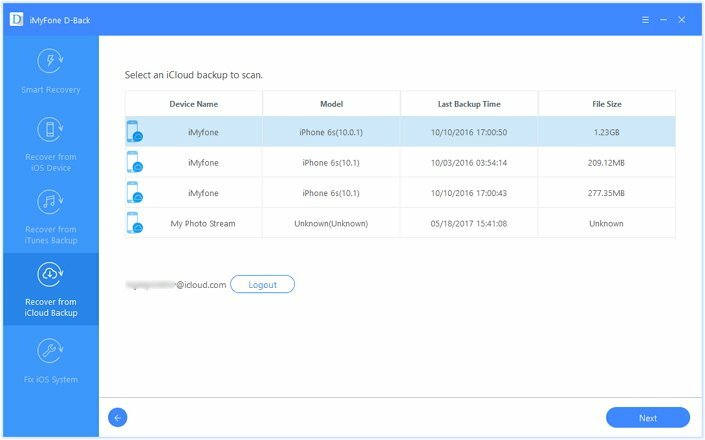 Step 2: Enter your iCloud login details to allow the software to scan for the existing backup files. Select the suitable backup file and click “Next” button. The program will download the backup files. Step 3: Once complete, you will see the files in the preview window. You can then mark the files that you would like to recover and press “Recover” button. Step 4: A window opens up asking to pick the destination location to save the files. Select a folder and wait for the application to complete the procedure. Browse the folder after completing the process for lost or deleted “Message” files. Step 1: From the main screen of the application, select “Recover from iTunes Backup” tab, and select the file type. Step 2: You will see the backup files in the interface. Pick the backup file from which you would like to recover the files, and click the “Scan” button. The program will download the backup files. Wait for it to complete. Step 3: You will see the recovered files once the scan is complete. From the interface, you can pick the files that you need or preview only the deleted content by selecting “Show only deleted files”. Tick the check box for the file that you require and click the “Recover” button. Step 4: Select the destination folder where you want to save the files from the pop-up screen. 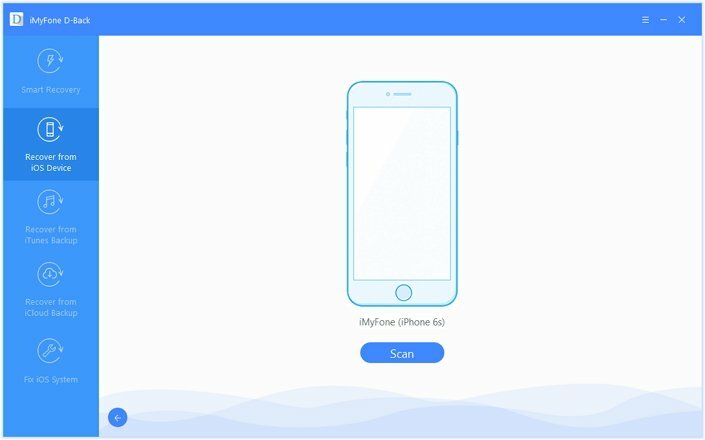 Select a folder, and wait for iMyfone D-Back to complete the recovery process. You can now browse the folder to check the recovered “Message” files from your iPad. The circumstances under which you lose data can be different. In this info era, losing data will place you in an awkward position. It converts into a complicated scenario when you do not have a backup. Luckily, recovery tools come to your liberation. 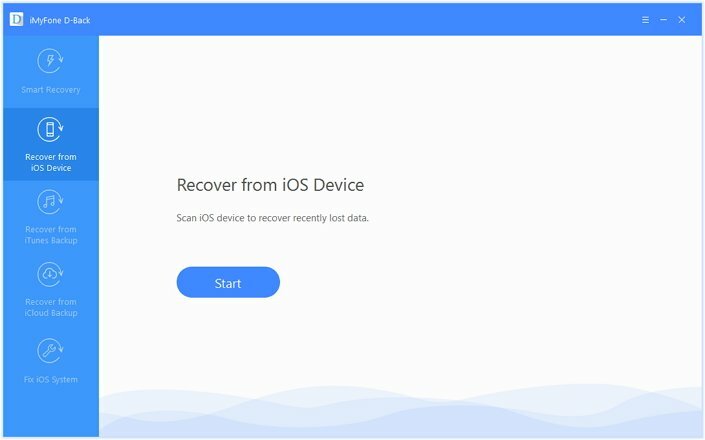 iMyfone D-Back iPad data recovery or iPad data recovery for Mac, excelling in this area, assists in retrieving all your lost messages from iPad, and other files from iPhone and iPod touch respectively. You do not have to worry and embarrass yourself in crucial situations. Get the recovery tool, and you are ready to go. I tried the program and found that it also found the iMessages i sent to my boyfriend. But the imessages were listed together with text messages. iMyfone D-Back can recover iMessages, too. But for now, iMessage is classified as text message so they are listed in the same catalog.